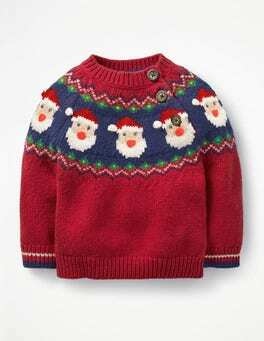 This Christmas jumper has it all. The bold Fair Isle jacquard, bright hues, 3D detailing... You'll be rocking-and-rolling all through the festive season. 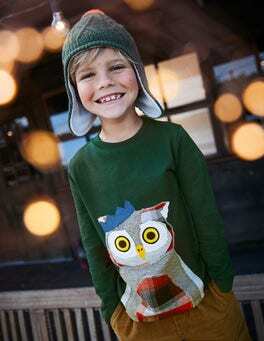 This long-sleeved design was made to keep you cosy during that Boxing Day stroll. 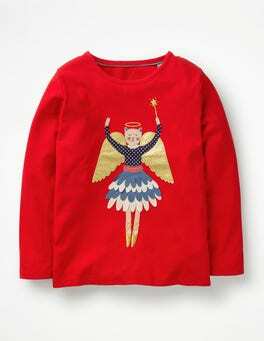 Step aside Christmas jumpers, this fluttering festive T-shirt is here to steal the show. Choose between an angelic pirouetting cat and a twinkling decorated tree. Warning: it'll be hard to pick as BOTH have 3D flutters and shimmering gold sparkle. 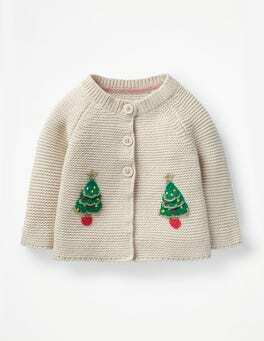 What could be cuddlier and more festive than your baby in a supersoft cardigan with snowmen or Christmas trees? We've added embroidery to make it extra special. 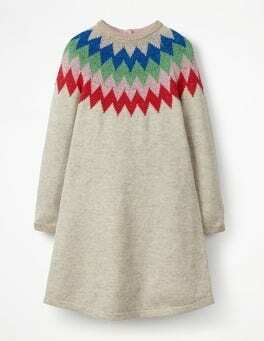 It's perfect for layering over jersey dresses on chilly days. And it's machine washable, so you can easily take care of little spills. 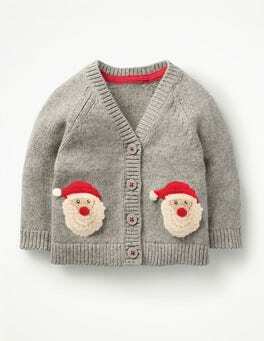 …when we thought things couldn't get any cuter, we spotted this cardigan. We don't know what's better: the adorable crochet appliqué reindeers – complete with pompom noses – or the fact that they double up as functional pockets. We know where we'll be stashing the Christmas candy canes this year. 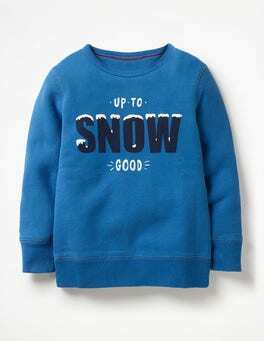 With a snuggly hood and button-up neck, this cotton-blend jumper is perfect for bundling baby up against snowy weather. 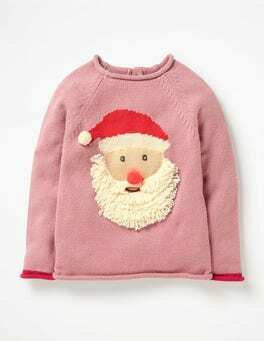 The Fair Isle fir trees and leaping reindeers (with French knot noses) run across the neck, shoulders and back for a touch of Christmas magic. This traditional Fair Isle jumper dress has plenty of extra sparkle – it's Christmas, after all – with metallic thread around the cuffs. Made from a soft cashmere blend, it's snuggly enough for cosying up by the fire or heading outdoors for some frosty fun. Who wants to build a snowman? The halls aren't the only thing that need decking out this Christmas. 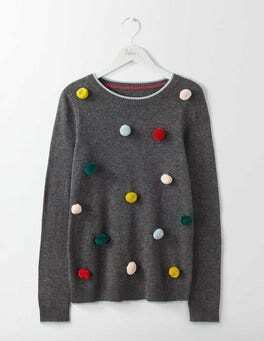 Get your festive wardrobe ready with this fun jumper. Just because it's novelty doesn't mean we've scrimped on quality – it's made with a dash of merino wool and luxurious cashmere. Forget Christmas jumpers, the Boden Breton has been given a festive twist. Reindeers, baubles, snowflakes, shiny foil and plenty of pompoms – you name it, we've got it. The cotton jersey fabric is so soft and comfortable that you won't take it off 'til Easter.